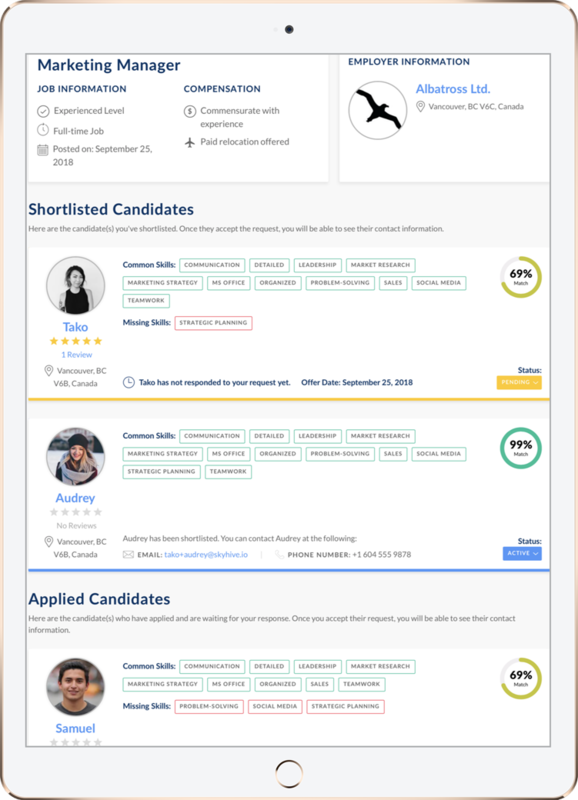 Built for Every HR Manager, Employer, and Recruiter. so you can spend your valuable time on what you do best — finding the right fit. 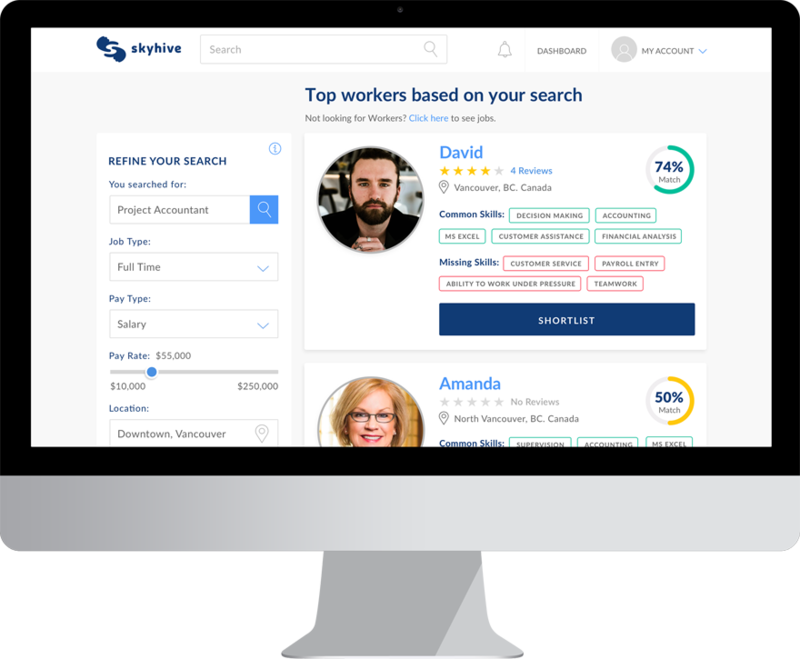 SkyHive's skills matching technology translates your hiring needs into precise skills, and delivers better matches in real-time. Find top talent for all job types across various industries with SkyHive's one-stop shop. No more expensive, old-fashioned job boards. Reach both active and passive candidates at a fraction of the cost. No hidden costs. No setup fees. Strategic workforce planning solutions customized for your organization needs. © 2019, SkyHive Technologies Inc. All Rights Reserved.